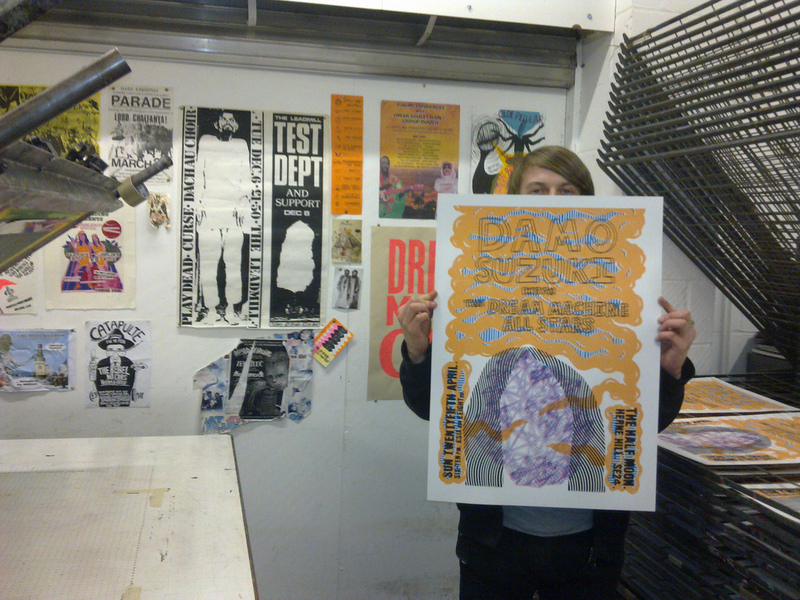 DAMO SUZUKI SCREENPRINTS! AVAILABLE NOW! My first ever screenprint, I'm well bloody chuffed! A2, 4 colour, 60 hand signed and numbered copies, I have 20 for sale from right now! £15 inc p+p (hard tube) in UK, (Please email me first for additional postage to outside UK.) Click the button at bottom. I Printed them with Luke at Heretic who guided me through and helped me no end, you should get in contact and go and print there, its just brilliant! Photos of the printing in process are here! I have to add also, for lunch and dinner, on separate days, Luke took me to the Roti stop Caribbean takeaway next to Stoke Newington station. If ever you are in the area, go there, the food's amazing! !